Things To Do In Lisbon: A Charismatic City Of Europe! Built on 7 hills, Lisbon offers breathtaking views and is considered to be one of the most popular cities of Europe. You will love Lisbon for its beautiful beaches, museums, century-old houses, cobbled lanes, delicious food, friendly locals, and much more. Lisbon has hot summers, wet winters, and mild springs/autumns. The sun shines for almost the entire year. The peak tourist season begins in the month of June till September. 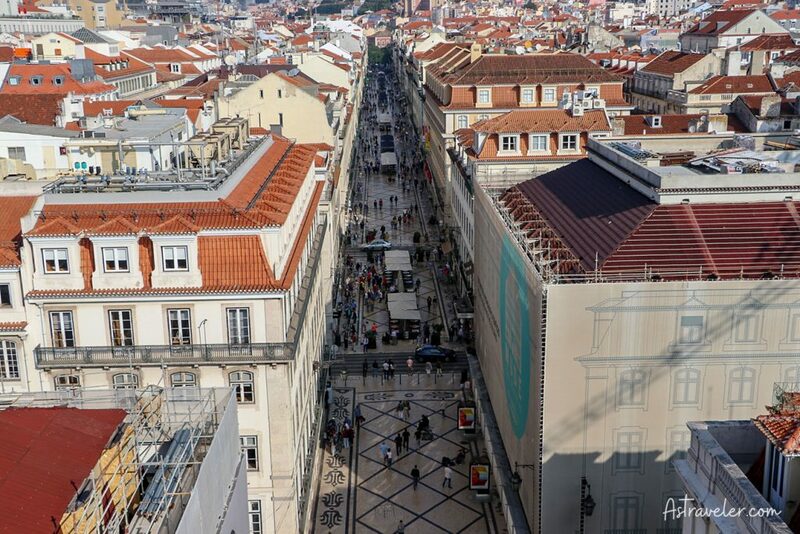 There are many things to do in Lisbon and the narrow streets get crowded with tourists in the peak season. If you want to spend your time in Lisbon when the crowd is less then you should plan your expedition in early autumn or late spring season (personally I was in mid October and it was a not too hot and not too cold, however not the beach going weather). There are several ways to enjoy and explore Lisbon, which is one of the most vibrant cities of Europe. You can either hop into the tram or book a day trip to watch all the important Lisbon attractions out here. Ensure that you wear comfortable footwear, put on your sunscreen, and carry lots of water for exploring the area properly. To explore the city entirely and in depth, it is recommended to go on a walking tour. There are several guided walking tours that will show the city’s attractions and provide information on each of them. I was walking alone and it was totally fine as well unless you want a more detailed information. If you are planning your trip to Lisbon and are wondering where to stay in Lisbon or things to do in Lisbon, then you are at the right post. After you finish reading the entire article, you will surely be able to plan your itinerary effortlessly. So, here you go! You can reach Lisbon by plane, train, bus, or Eurolines. Lisbon Airport or Humberto Delgado Airport is an international airport that is located 7kms away from the center of Lisbon. There are several online websites that offer cheap flights to Lisbon all throughout the year. You can even opt to travel by train to reach Lisbon. The four main train stations of Lisbon are – Santa Apolonia, Barreiro, Rossio, and Cais do Sodre. Lisbon is well-connected to entire Portugal through roadways. The Rede Nacional de Expressos or bus lines have several buses connecting Lisbon with various other cities of Portugal. You can take the Eurolines for traveling between Lisbon and other European destinations. If you are wondering what to do in Lisbon, then fret not! Here, you will get to know about all those important places that you should visit during your journey to Lisbon. Keep reading! On your trip to Lisbon, you can spend couple of days in discovering the beaches. Especially during summers, Lisbon beaches are packed with tourists who come on a holiday from every other part of the world. You can even explore all beaches in a single day as all of them are well-connected with public transportation. 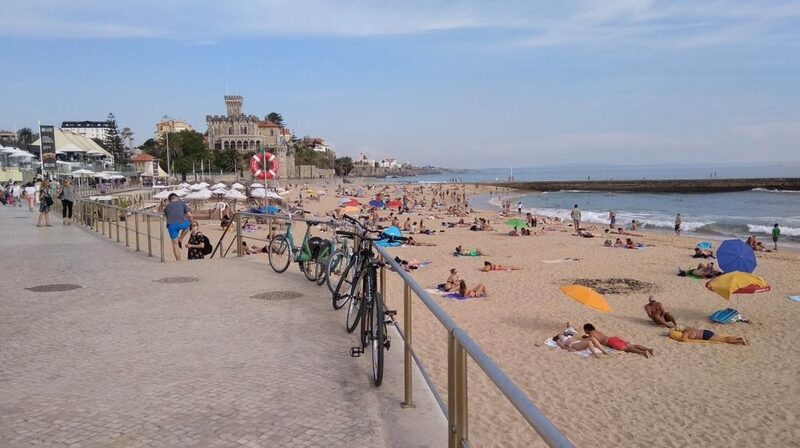 Some of the best beaches of Lisbon are Praia da Conceição, Cascais, Praia do Tamariz, Estoril, and Praia de Carcavelos, which can be reached by train. If you are planning to rent a car then you can visit Praia da Adraga, Praia das Bicas and the southern Costa da Caparica, and Praia do Creiro (Serra da Arrábida), which are about 40-50kms away from Lisbon. Moreover, if you are traveling to Lisbon in summers then you can take the mini train that runs from the towns of Praia da Fonte da Telha to Costa da Caparica. These beaches are less crowded and will provide the privacy that you need. A word of caution here is that the Lisbon beaches are extremely crowded in the month of July and August. The best months for sunbathing on the beach are May to September. Lisbon Oceanarium is a beautiful aquarium that has four huge tanks, and each tank represents the four ocean climates of the globe. There are two types of exhibitions held in Lisbon Oceanarium; permanent and temporary. 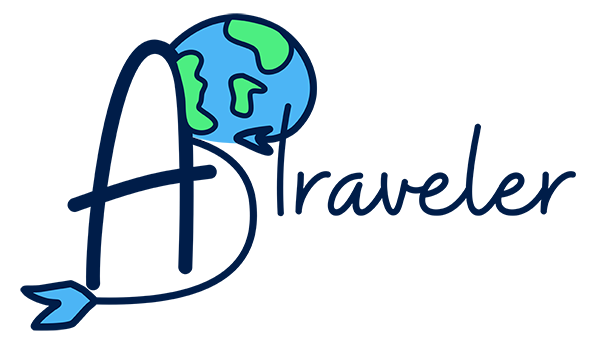 Both exhibitions are educational that provides information and knowledge on oceans. 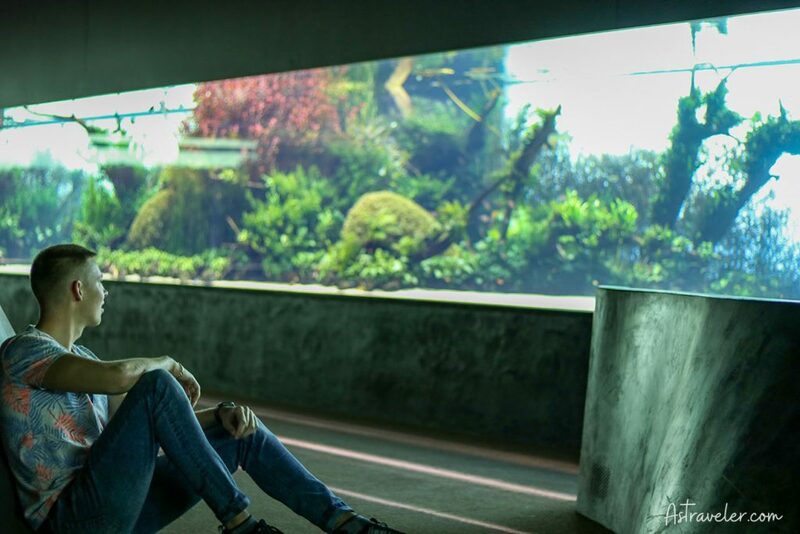 Here, you will feel as if you are in the midst of nature because there are more than 8000 animals and plants, about 10,000 fishes, and approximately 500 species in the Oceanarium. 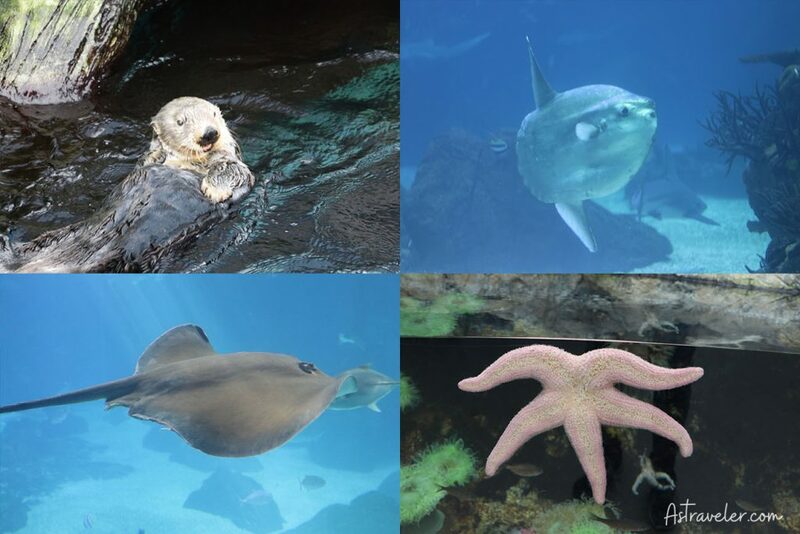 The tickets to visit Lisbon Oceanarium can be purchased online on their official website. The price of the ticket to view permanent and temporary exhibition for kids below 3 years is free, 4 – 12 years is €12, 13 – 64 years is €18, +65 years is €12, and price for a family consisting of 2 adults and 2 children up to 12 years is €47. You can spend your entire day in here, especially if it is raining outside and there is nowhere to go. After visiting both exhibitions (approx 2hours) you’ll find a nice restaurant inside the building which has good prices and nice food. Alfama, Lisbon is the oldest part of the city where you can explore ancient Portugal. The beautiful Lisbon Cathedral, Feira de Ladra, and St. George’s Castle are the ‘must’ visit areas in Alfama. If you want to burn your calories then you can wander around the hilly Alfama or take Tram 28 for exploring its colorful streets. In the narrow streets of Alfama, you will come across several shops and cozy restaurants that highlight the historic yet well-preserved architecture. Once here, you should spend some time listening to Fado music, which is the traditional music of Lisbon. Ensure that you buy the Fado show tickets online well in advance as it is a popular show and you may face difficulty in getting the tickets at the last minute. Alfama is well within reach as there are two metro stops nearby – Lisboa Santa Apolonia and Martim Moniz. 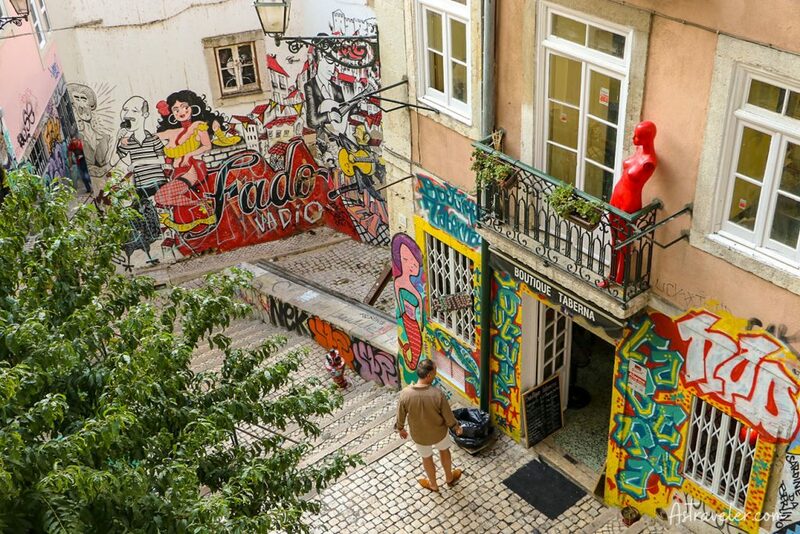 Bairro Alto is a perfect place to visit for those who want to enjoy the nightlife of Lisbon. There are several small bars and restaurants that are open till late in the night so it is an apt place for partying. If you are in Lisbon on a weekend then you should visit Bairro Alto in the night as you will find all the tourists as well as locals enjoying on the streets. In the daytime, the district transforms completely and is almost unrecognizable. You can spend your day by visiting the biggest church in Lisbon; Carmo Convent, which was built in the year 1389. Later, in the year 1755, a destructive earthquake damaged certain parts of the church that have not yet been rebuilt. At present, in these areas there is a tiny museum that displays the archeological evidence of the earthquake. You could even spend your time shopping for vintage Portuguese products to take back home. In short, Bairro Alto is the finest place to visit for enjoying the Lisbon nightlife. Praça do Comércio, which means Commercial Square in English is a tourist site as well as a major transportation hub. It was built in the year 1755, after an earthquake in Lisbon had completely ruined Baixa district. There is a huge statue of King José I (Portuguese ruler) in the center and several traditionally painted buildings on its sides. 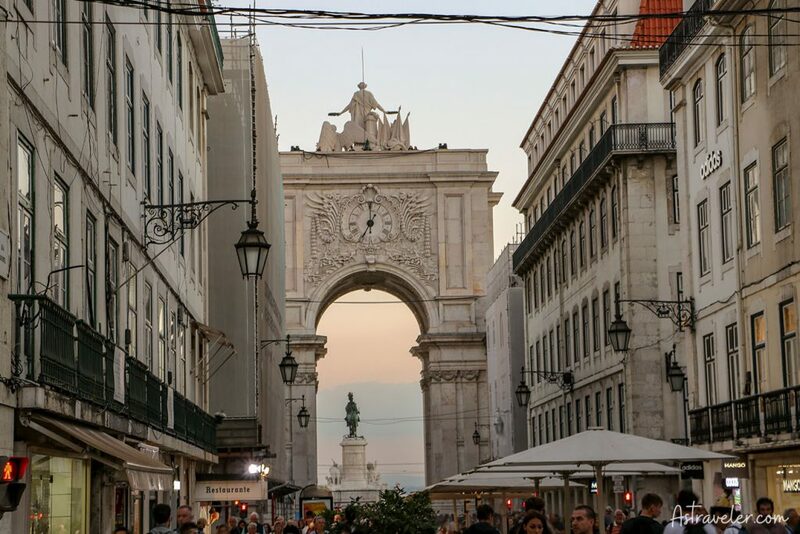 Once here, don’t forget to check out the impressive Arco da Rua Augusta, which was built in the year 1875. 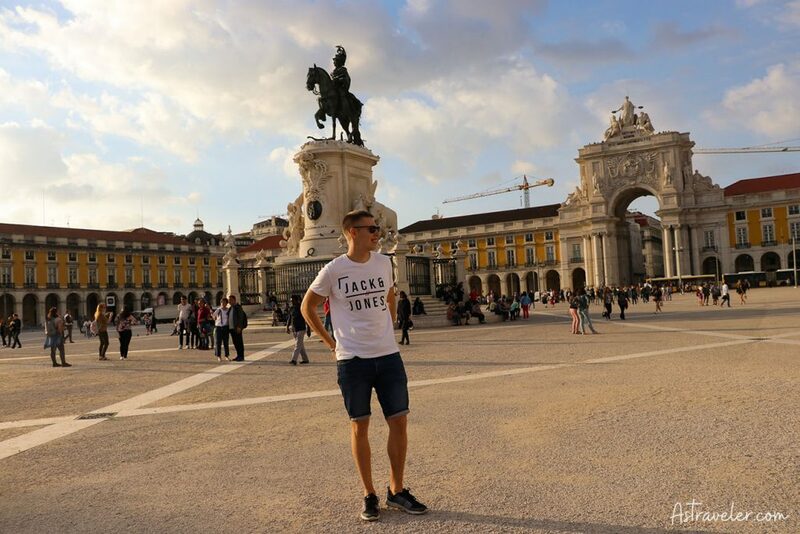 To click amazing pictures of Praça do Comércio, buy a ticket of €2.50 to enter Arco da Rua Augusta, which is open every day from 9:00 am to 7:00 pm. 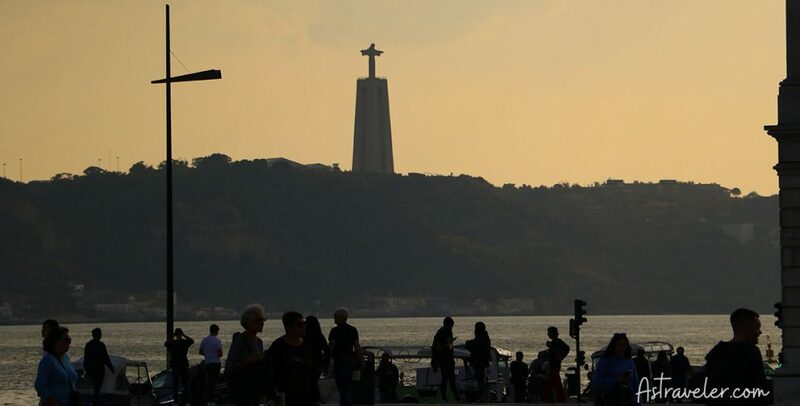 Moreover, you can take trams from the square to reach Belem district or buy tickets for a ferry ride on the River Tagus to reach the South of Lisbon. Before booking their tickets, travelers often wonder where to stay in Lisbon so that their trip will be a safe and comfortable one. To help you out, here are few budget and luxurious hotels that you could pick for your stay in Lisbon. For those who are traveling on a budget, the Milanesa guest house would be an apt choice for you. Located between Avenida da Liberdade and Principe Real, the Residential Milanesa is close to most of the famous places that are visited by tourists. It is extremely close to Avenida metro station, so reaching the guest house is easy. Some of the facilities that you will get here are safe deposit, laundry service, tea / coffee facilities, Wi-Fi, daily housekeeping, and more. I want to mention that this guest house is extremely cheap, I stayed here for two nights and from there I always walked without any other transportation. Highly recommended for those who want to save and also live in a great location. Located in Alfama Lisbon, the Hotel Convento do Salvador offers several rooms for families as well as wheel-chair bound guests. You can easily reach the hotel by taking the famous Tram 28. There are innumerable restaurants, museums, bars, etc. close to the hotel. Some of the amenities available in each room are air-conditioner, wardrobe, television, private bathroom, telephone, safety locker, free toiletries, and shower, among others. If you are lucky enough then you may get a room that offers mesmerizing views of the Tejo River. The hotel has received amazing ratings from their clients and is totally worth the money spent. If you want to stay right by the castle then you should book a room at the Solar Dos Mouros Hotel. Located between Alfama and Baixa, the hotel offers beautiful views of São Jorge Castle and River Tagus. You can either book a luxurious suite with a private terrace or a suite with the view of the river depending on your preferences. Free Wi-Fi, minibar, room service, satellite TV, bathrobe, hairdryer, and air conditioning are some of the amazing amenities provided in each room. When you reach the hotel, you will be welcomed with a bottle of Portuguese wine. They serve complimentary breakfast, which comprises of innumerable traditional and international delicacies. The views from the rooms are amazing and the staff is incredibly helpful. Your stay will certainly be a comfortable one at the Solar Dos Mouros Hotel. Your trip to Lisbon would be incomplete if you do not travel in its trams. There are several trams accessible in Lisbon, depending on the area that you need to visit. The Tram 28 has been routed in such a way that it covers most of the tourist-friendly areas. Connecting Martim Moniz to Campo Ourique, the Tram 28 will enable you to explore the area in a traditional manner. Some tourists take the tram one way and walk back down so that they can discover the neighborhood on foot too. The same trams were used in World War II, so do not expect your trip to be a smooth one. However, this is the real charm of traveling in the yellow colored Tram 28, which will rattle and screech through the narrow roads of Lisbon. As it is one of the most popular modes of conveyance, the trams get crowded in the peak evening hours so it is better to ride early or late in the day. In case, you are unable to get a seat to sit, make sure that you hang on very tight. You can purchase the tickets for the tram from any metro stations or onboard. A single ticket will cost €2.90 for the tram journey. If you purchase the ticket from metro station, then it is advisable to buy the 24-hour public transport ticket for €6.30 that includes ticket for metro, tram, as well as bus services. The trams start their service at 6am and continue till 10:30pm. You can check the bus and tram routes / schedules by visiting their official website. The Lisbon Airport Transfer Bus or the Aerobus services between important landmarks of the city and the airport. It runs daily at 7:30 am to 11 pm. There are two lines of Aerobus services and some of the facilities that you will get are free Wi-Fi, USB chargers, and helpful staffs. You can buy the Aerobus pass for €3.60 per adult and €2 per child between the age group of 4 to 10 years. This pass will be valid for 24 hours. The 2×24 hours Aerobus pass can be purchased for €5.40 per adult and €3 per child. This pass will expire after 30 days of first use. Travelers usually buy the 2×24 hours pass if they are returning back to the airport within 30 days. Even though it sounds like a great way to get back to the airport – do not do that! I waited for this bus to go back to an airport and it was 1hour+ late. Unless you are really not in a hurry or just use it to go from the airport to the city. The fastest and reliable mode of transport in Lisbon is the metro. There are four metro lines, which operates from 6:30am till 1:00am. It is recommended to take the metro for traveling in the neighborhood of Lisbon and after landing at the airport to reach central Lisbon. You can purchase the tickets from the ticket machines or ticket offices at the metro stations. Ensure that you buy a reusable Viva Viagem card with your first metro ticket for €0.50. A single ticket costs €1.45 and 24-hour unlimited travel ticket costs €6.30, which will include unrestricted travel in Lisbon trams and buses. Go through the below-mentioned tips that will make your Lisbon trip a comfortable one! Keep an eye on your belongings, especially wallets, mobile phones, and cameras at crowded areas, as these areas are a target for pickpockets. Everywhere you will walk you will be asked by many drug-dealers in the street if you want to buy drugs. For me, it was one of the most annoying things in Lisbon. I suggest you don’t look at them as they will immediately ask and offer you. Also don’t walk alone in narrow streets during the night and especially alone as it feels really creepy. Most of the surfing Lisbon beaches are having dangerous currents and hidden rocks. So, you should always follow the instructions provided by lifeguards and swim or surf only on those beaches where it is considered to be safe. Even during summers, the water surrounding Lisbon coastline is quite cold. So, ensure that you pack appropriate clothing for your trip. For instance, if you are planning to be in the water for long then wear a wetsuit or take other swimming gear. There are several markets where you can shop for traditional items to take back home. Ensure that you buy all those items that have been locally produced as they will be cheap as well as provide an authentic touch. Some of the items that you can consider buying are local wines, handmade gifts, etc. If you are a foodie then head straight to the Timeout Market where you can relish different dishes cooked by some of Portugal’s reputed chefs. You will find innumerable food stalls in the entire market and all chefs use local produce to give authentic taste to their dishes. Do you enjoy solving puzzles? If yes, then visit the Lisbon Escape Room, which is a group based activity that has a one-hour challenge. The price of the ticket is €70 for a group of up to six people. To conclude, Lisbon is an ideal holiday destination for varied tourists because here you can spend time in understanding its rich and diverse history, enjoy its nightlife, explore its beaches, or have a relaxed family holiday. Whether you opt for a quick weekend visit or have a weeklong trip, you are surely going to fall in love with the beauty of Lisbon! Budget travelers, as well as lavish spenders, can discover Lisbon in style, as the hotel, food, travel expenses, entrance fees, etc. are sensibly priced. You will come across luxurious hotels and budget hotels; all in the same area. So, pack your bags and get ready to spend your holiday in one of the most popular and tourist-friendly and sunny place of Europe. Enjoy!